If you walk past NaCoMo on a Tuesday evening or Friday morning, you will likely hear the rumble of musical beats and joyful laughter . What’s going on in there? 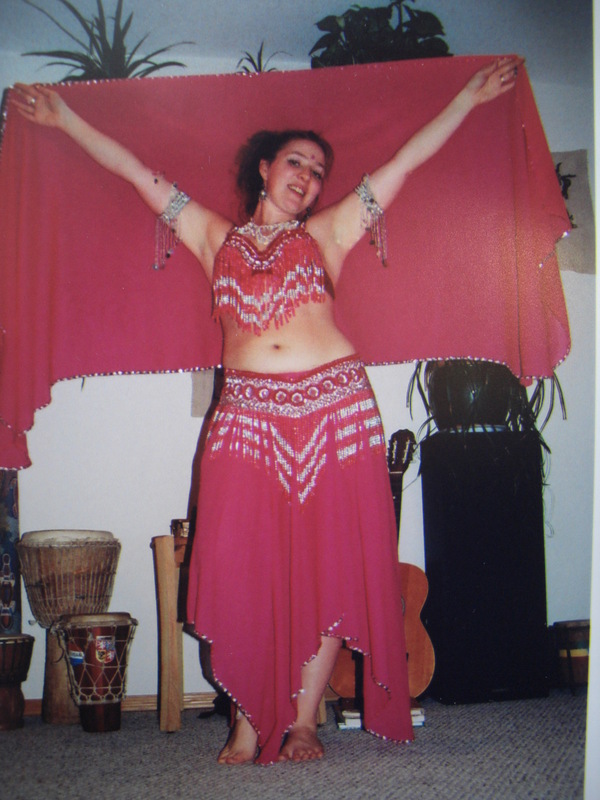 It’s the sound of Bellyfit with Brendalee Morgan, well known for her belly dancing but who has much more hidden behind those veils. “It helps break barriers,” Morgan said about Bellyfit classes, “allowing people to feel closeness and connected.” The aerobic dance classes combine West African dance moves, bhangra, yoga, and pilates as well as belly dancing for an eclectic and challenging mix. Although the pace is fast, the point of the class isn’t just to get you sweating. Like belly dancing, Morgan believes Bellyfit will help women of all different fitness levels not only enjoy dancing together but learn to feel comfortable in their own skin just as it is. “Any fitness level can do it. The classes bring women together in a way that is nonjudgmental,” said Morgan. “You honour yourself by doing what you can do.” She sees the experience as a way to transform stigma into self-acceptance. Learning to laugh together is another way to feel a sense of community and social acceptance, something that happens regularly and spontaneously in the class. Through a combination of fitness, affirmations, mudras and awareness, Morgan hopes to give women in her class the ability to let go of all barriers. In her belly fit classes, complex choreography carried out in quick steps gets the heart rate up and the laughs rolling. It’s an attention-consuming hour with no room for the mind to wander about, an aspect that Morgan likens to walking meditation. Mindfulness of the body is at the heart of the instruction, and in that spirit, dancers learn mudras, hand gestures that have been used in traditional Indian practices to facilitate the flow of prana or life energy. Morgan sees Bellyfit as just another extension of her holistic healing background, another layer of care she can offer. Its mindful, barrier-breaking qualities make it a (very) active form of healing that encourages women to make peace with their bodies and learn to love the skin they’re in. Bellyfit classes are held at NaCoMo Tuesdays 6:30-7:30 p.m. and Fridays 9:15-10:15 a.m., and in Burton Mondays 7-8 p.m.